As we know, Hong Kong has been showing up in the list of the most expensive places to live in for several years now, but what that means for many people doesn’t amount much as it does to the people living here. And when we think of people working and residing in Hong Kong, we cannot disregard the hundreds and thousands of foreign domestic workers which make up a huge part of its population. 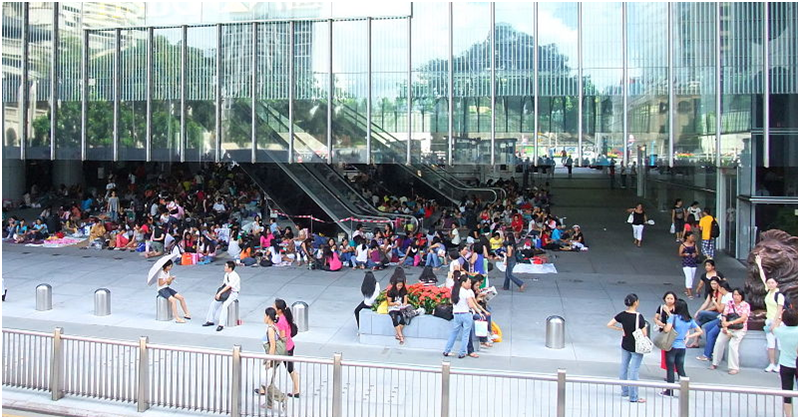 In line with this, the Asian Domestic Workers Union has aired its concern to the Hong Kong government to look into the condition of domestic workers in the country who suffer from what they call as “modern-day slavery,” as shared in a report by UNTV. According to the migrant rights group, the government’s current policies deprive household workers the required amount of time to rest. In Hong Kong, household workers usually work for 12-16 hours every day, and many of them just want to be given humane and fair treatment. The group urged the government to consider the concerns of its migrant workers in the country, which are mostly composed of working women with families to feed back home, and to increase the minimum monthly salary of household workers from the current HKD 4,250 (PHP 30,000) to HKD 5,500 (PHP37,000). Furthermore, the union also wants an increase in food allowances for those whose employers do not provide free meals. Meanwhile, the group called out the government’s failure to comply with the United Nation’s International Labour Organization Convention on Domestic Helpers No. 189, which protects and upholds the rights of domestic workers across the globe. Since 2017, the number of foreign household workers in the country has reached over 350,000. Government statistics also project that these numbers would even hit around 600,000 by year 2047. ALSO READ: A More Inclusive Hong Kong for Migrant Domestic Workers, Is it Possible?